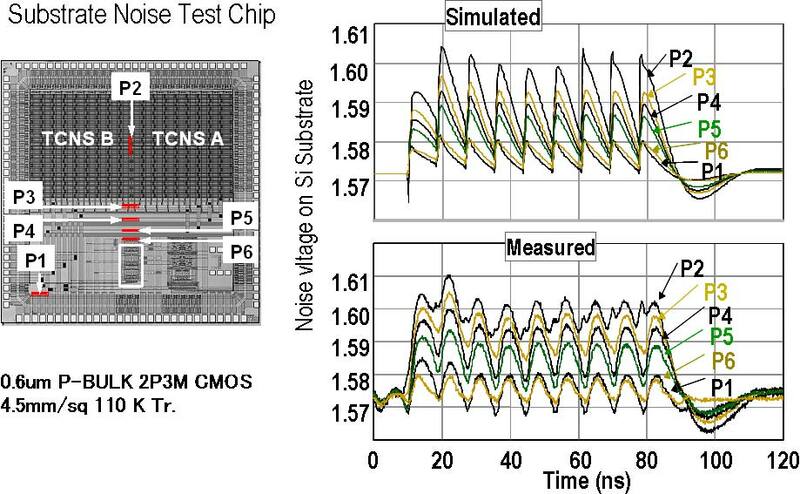 Simulate noise voltage with specified nodes for probing. Probing node should not be reduced. This example shows reduction of nodes from 40804 to 170. 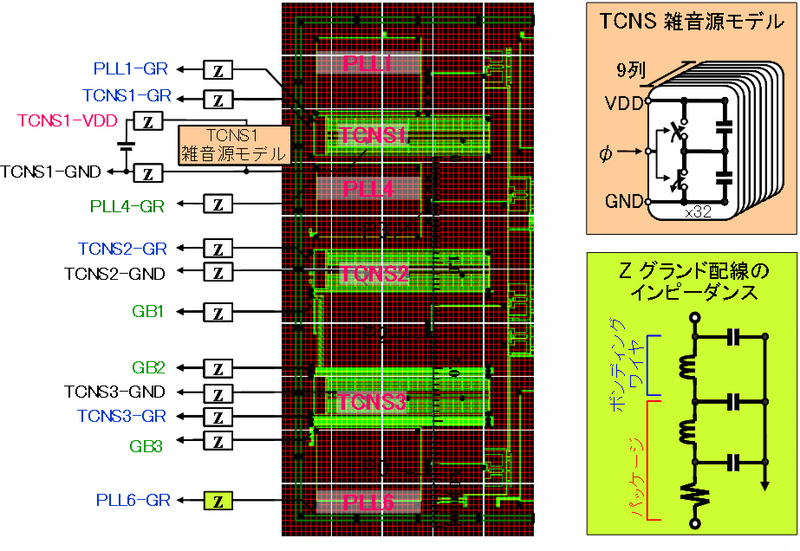 Consider the charging and discharging of the parasitic capacitance of CMOS logic circuits. Parasitic capacitance change with motion vectors. 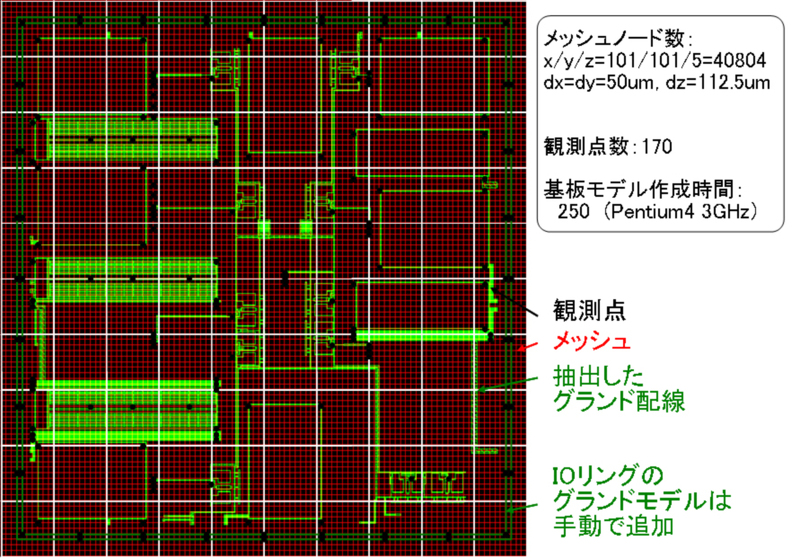 Wiring impedance considered, package leads, on the PCB pattern, on-chip metal wiring. 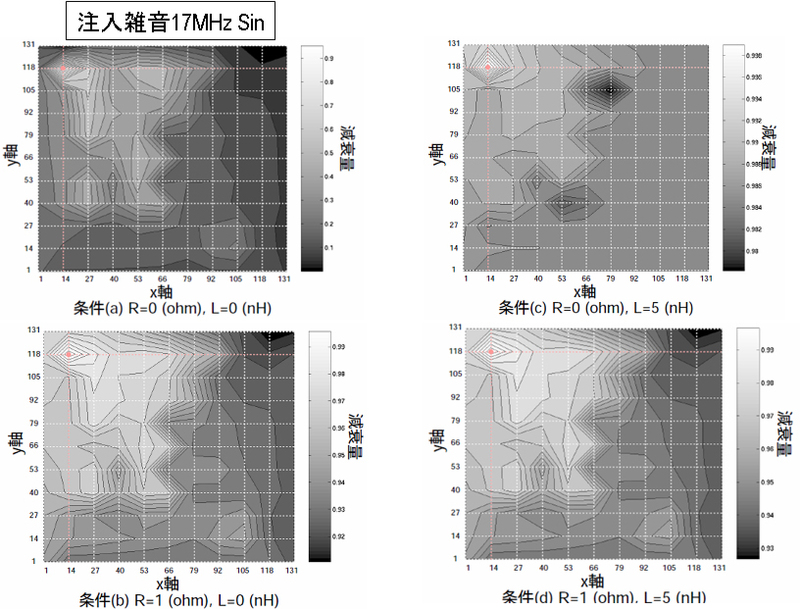 Inductance becomes dominant in the high frequency region. Shading shows the level of noise propagation at meshed analysis points. 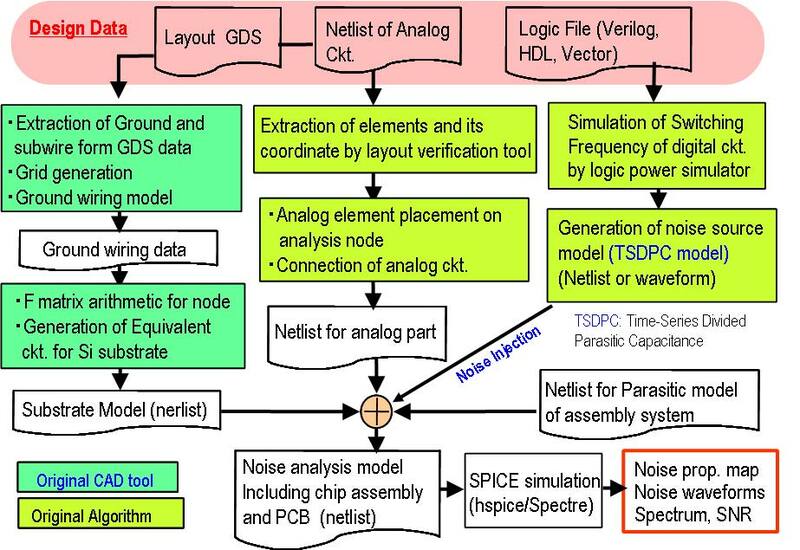 Noise source is given as DC/AC source at any analysis point. The areas connected to ground with low impedance shows less propagated noise. Good agreement in waveform structure and amplitude is obtained. Because of the wider bandwidth of noise transmission path and noise detector in simulation, the simulated waveform shows large high-frequency components. Copyright © 2015 A-R-Tec Corporation All Rights Reserved.